To experience active addition and find release in recovery once was a blessing, but to do it twice is a miracle. There is so much more to recovery than just attending meetings and staying clean and sober. It truly is a way of life and a path to living, not existing. 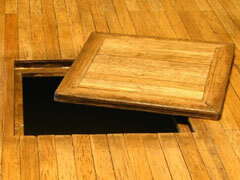 Through my experience I have learned that all bottoms have trap doors, that words have meaning and that they were right when they said, “If it hasn’t happened yet, it will” if one returns to using. After 25 years of active addition I finally reached out for help. I didn’t want to live that life anymore, with all those feelings that go along with using: the fear, loneliness, anger, resentments and stress. I wanted release, I really did. I was willing to do anything. I went to meetings, reading – no, dissecting – the books and literature, did step work many times, became a sponsor and held lots of service positions. I was willing to go to any length for recovery. The obsession to use was removed and I was released from active addition. On the outside it looked liked it was all working but my family life was falling apart. I was still demanding and judgmental. Sure life was good, money was good, material achievement was good – but I still could not give up control. My problem was that I used the God of my understanding as a consultant. “God, please can you help me” and the help came, but I always had a better idea and would not follow through. Not a very good foundation in a spiritual program of recovery. I was still running the show. What I have learned in doing inventories is that it is easy to identify the pile of crap on top of the cement of the soul, but once that is cleared the cement cracks and it is what is underneath that starts to seep through. The stuff that is buried so deep it has never seen the sunlight of the spirit. Memories and emotions from years, decades past came back to haunt and control my life. These emotions were triggered by rejection – thus causing fear, leading me to exert more control. Then the inevitable happened. After five years of being clean and sober I started using – to induce serenity, to take the stress and fears of life away. I had convinced myself that I could use successfully and not go back to the place I once was. It went that way for a while but the problem is I’m an addict and one is too many and a thousand is not enough. It didn’t take long for things to escalate to the point where I was causing emotional and spiritual pain for my wife and children. I put the drugs before the welfare of my family, myself, my job, my friends, everything. Insanity personified in all areas of my life. I was oozing self-pity and the drugs became harder and using was a full-time job. I sought treatment, but it was just a place where I could lock myself away for a while so I would not use and maybe, just maybe, turn the corner. I wasn’t ready, as I was still running the show. I continued on in this odyssey for another year in and out of the rooms. I look back on it now and I know for a fact – not maybe, but a fact – that God was with me and doing for me what I could not do for myself. My trap door opened and he was letting me spin right out of control so I could reach the place of true surrender. That place where everything was gone, the wife, the kids, the money, stripped bare down to my soul by the broken cement to the point that death is preferable to life. It was at this point that he picked me up in his loving hands and whispered to me, “Are you ready now? For I have loved you since you were born and you are special to me.” Touched by the Master’s hand, I was now ready, I surrendered. This time the growth has been slow and very painful, emotionally and spiritually. I was shown that I just didn’t have dependency on the drugs but on people, places and things. I had to become dependent on God only and leave the rest. Spiritual principles for a spiritual program. The rebuilding of my life over the past few years has been nothing short of a miracle. I had been through the steps many times before but now I am living, truly living, the steps. No more 1, 2, 3 shuffle, 4 and 5 beat myself up. True change comes from steps 6 and 7, courage from 8 and 9, reflection in 10. I love step 11 and try as best I can to live in 12. As God loves me it has allowed me to love others, to be a father to my children as he is to me and a friend to my ex-wife, and to grow to be a man who finds true freedom by not living in illusions anymore. A gem from our TGIF vault, originally published in April 2014. In emotional relapse, you’re not thinking about using. But your emotions and behaviors are setting you up for a possible relapse in the future. Early Relapse Prevention Relapse prevention at this stage means recognizing that you’re in emotional relapse and changing your behavior. Recognize that you’re isolating and remind yourself to ask for help. Recognize that you’re anxious and practice relaxation techniques. Recognize that your sleep and eating habits are slipping and practice self-care. It’s hard to stop the process of relapse at that point. That’s not where you should focus your efforts in recovery. That’s achieving abstinence through brute force. But it is not recovery. If you recognize the early warning signs of relapse, and understand the symptoms of post-acute withdrawal, you’ll be able to catch yourself before it’s too late. Reprinted by kind permission of the author. His website can be found at www.addictionsandrecovery.org. Video: Why Do People Relapse? In times of high stress, high alertness, worry, difficult times or mood disorders like depression or anxiety, people are completely vulnerable to going back to their drug of choice. This is why we need to know where we’re at and learn practical ways of keeping our bodies, our minds and our environments in a healthy routine. I was born into a family of three brothers and three sisters. My father passed away eight months after my birth. He had been taken by the abuse of alcohol. He was 35 years old. I was never told of my father’s history of alcohol or how he had come to pass. I thought I had a normal childhood, just as all the other kids had. At 11 years old, though, my life began to change. Out of curiosity I began searching for answers to my feelings toward my father. This began my journey into the world of substance abuse. Feeling different, alienated, confused, lied to and short-changed, anger and self-pity took over my life. I began to drink and experiment with different drugs. At 12 years of age I was molested by an older male for a period of time. From this series of events came unsurmountable emotions that took me to a level of self-medication that continued on and off for more than 35 years. I entered the doors of AA at the age of 19. Needless to say, I was not there to stay. I continued on my road of destruction for 10 more years, using and abusing without knowing the disease was growing rapidly and taking me further and further under its control. I again returned to AA in the summer of 1995, defeated, disgusted and tired of myself and the abuse I had brought to myself and those closest to me. I remained sober for a period of one year and that’s all I was: sober. I never worked the program and rarely attended meetings. I never had a chance, because I was not honest and could not face myself or a higher power. I believed in a higher power alright, but I didn’t have a relationship with one. I never took on a sponsor nor ever helped out at my group meetings and rarely was I present. My one year came and went ─and so did I, just as quickly. I was out again, thinking I can do this now…I’m better. But I couldn’t stop the pain, the mental anguish, the depression, the anxiety. Gradually this disease took me to all the places it was capable of taking me. You name it; it took it away; legally, monetarily, spiritually, mentally, physically and every other way it could. I was never capable of real sobriety, I never knew how to get it. I thought I was one of those unfortunates who would live and die by this demon. I was in AA ─ or should I say I was around AA ─ so often that I was afraid of returning each and every time I left. I found myself coming and going from the rooms of AA on and off for 17 years. Again, I never worked the program, never got the sponsor, never got the group or a relationship with a higher power. I was lost, confused, completely cut off from reality, living a spiritually starved life of complete chaos. One major trauma or serious incident would be all I needed to completely fall off the radar. Well, besides living every day on the edge and falling off at any time, that trauma happened. I experienced the suicide of my ex-wife, the mother of my son. I went over the edge. I was gone. I was unable to function whatsoever. I continued drinking and medicating myself for two years after my ex-wife’s suicide. This period of time was the darkest place I have ever been and could only be described as insanity and complete defeat. I lost everything: my wife, my family, my dignity, my self-respect. I was at the point of no return. On February 27, 2015 I was taken away to a safe place. Here I began to trudge the happy road to destiny. I entered the doors of the Sullivan Centre on March 6, 2015. At Renascent I found my higher power. I prayed and prayed and I took everything that house had to give. I surrendered completely to the god of my understanding and he opened my mind, my ears and my eyes. I had an experience of pure faith in that house. Let’s just say my life was spared and my faith reassured. I now work the program, I have a sponsor, I have a group and I go to meetings. I have done the 12 steps and I continue to redo the steps over and over again. I am living the program day to day, one day at a time. But for the grace of god, I am living in the sunlight of his spirit. Believe me, this is attainable through the program of AA and the good lord above. Thank you to the Sullivan Centre, thank you to Renascent! 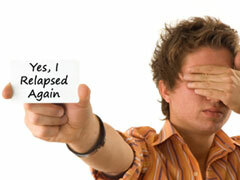 One of the problems for people who leave alcoholism treatment is the possibility of relapse. Not only this, but many people in early recovery are prone to chronic relapse. That is, they just keep relapsing over and over again in spite of their best efforts. Once you find yourself in a pattern of chronic relapse it can be very difficult to break free from this. Because now that has become “your story,” that is what you do. You sober up, try again, and then you relapse. It is almost like you are expecting to relapse, or you have somehow given yourself permission to relapse because that is what always happens to you anyway. Well, there has to be a way to break out of this pattern if you ever want to enjoy a better life in recovery. And in order to break free from this cycle of chronic relapse you are going to have to surrender. First and by far the most important: Surrender to win! The problem with the concept of surrender is that you cannot seem to force it on yourself. It is a completely binary state of being. It is like a light switch that is either “on” or “off.” You are either in a state of total and complete surrender, or you are not. It is as simple as that. There is absolutely nothing in between the two. If you are not yet in the state of surrender, it is very possible that you are still being pushed into recovery for other reasons. Perhaps your family or your spouse encourages you to go to rehab in order to get help for your problem. You admit that you have a drinking problem so you agree to go to rehab. Does this mean that you are in a state of total and complete surrender? Not necessarily. Some alcoholics will become willing to seek treatment or get help, but at the same time they may not be in a state of total and complete surrender. So they are in between. At least they are willing to get help, and this is a good start. But ultimately they will not remain sober if they are not at the turning point, if they have not hit bottom, if they are not in total surrender. So how do you know when you are in a state of total and complete surrender? For one thing, you almost never know it if you are not there yet. So if you are not in a state of surrender then you will be clueless. You will hope that you are in a state of surrender, but you almost certainly will not be. If you have to wonder about it, then you are not at your bottom. If you think you might be at surrender, maybe, then you are probably not. On the other hand, if you have hit bottom and you are in state of true surrender, you will know it for sure. See the difference? So if you are not in surrender you will wonder and be unsure of yourself. But if you are at a state of true surrender then you will know it right down to your bones. This is because the state of true surrender is almost like an ego death. You will throw caution to the wind and become willing to face your greatest fears in order to escape the misery and pain of addiction. This is a big deal. In a way it feels almost like a suicide of sorts, because you have essentially killed your ego. When you finally reach this state of being, you will know it. It will become obvious to you that you have finally surrendered. Chronic relapse is a red flag. It means that you aren’t doing something right in your recovery. Recovery is nothing if not positive change and positive action. Of course to achieve that ideal you have to follow through and actually listen to new ideas. You have to take advice from other people and put those new concepts into action. Many people in early recovery fail to do this. They fail to do this in many different ways and on many different levels. So they fail to follow through, they fail to take action, they fail to make the necessary changes in order to put their life back on course. A great example of this can be seen post-treatment. The people in treatment make certain recommendations to you so that you don’t just walk out of rehab and then fall flat on your face. They want you to succeed so they try to encourage you to seek out support. So they tell you things such as: “Go to AA meetings every day, get a sponsor and call them every day, call your peers in recovery, work the steps, go to outpatient therapy, get a counselor or therapist,” and so on. I can tell you that the people who are successful are taking massive action. They are not just getting out of treatment. They are following through, they are taking all of the suggestions, and they are pushing themselves to make positive changes. They go to meetings, they go to therapy, they follow through in every way. Those are the people who are generally successful. You want to be one of those people who “makes it.” So follow through. What are you missing if you keep relapsing? If you continue to relapse then you are either not fully surrendered or you are not doing the work. It is one of the two. Either you have the wrong attitude (not surrendered) or you have the wrong action (not doing the work). It is always going to be one of those two elements that is holding you back. Surrender completely and then commit to doing the work. This is the path to continuous growth. Excerpted and reprinted by kind permission of the author. The complete article and more of his writings on recovery can be found at www.spiritualriver.com.